A recent panel at the digiday: Mobile conference debated the pros and cons of the Iads platform. At the very heart of this debate is the ongoing questions around Apple’s closed system approach and both benefits and challenges its brings. Those on the panel largely acknowledged that that rich media format keeps users engaged with brands without having to navigate away from apps, a move in the right direction for mobile advertising. Click the link to see an example here. However questions were raised over the reach that can be achieved. Panelist Jami Lawrence, associate director of mobile marketing at Publicis Modem, New York noted: “it’s a really small audience—from a scale perspective not really there. 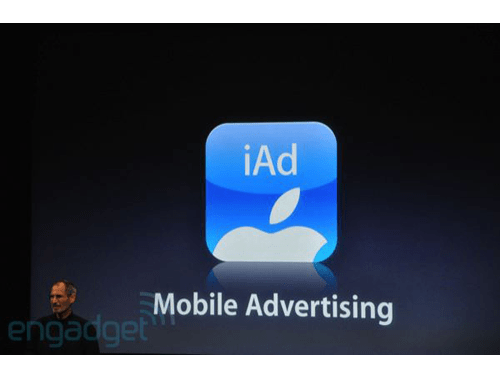 For iAd to make sense, you have to be a client targeting an Apple techy audience, because all of the other platforms are left out—even the original iPhone and 3G are left out, and only iPod touch who have chosen to upgrade will see the iAds”. Another point raised was the initial budgets required to particaipate in the launch were over $1million, a large commitment for many brands to make, given that test budgets for mobile range between $20k-$50k. Data and reporting is also reportedly limited with Apple controling data post click rather than allowing third party ad serving.